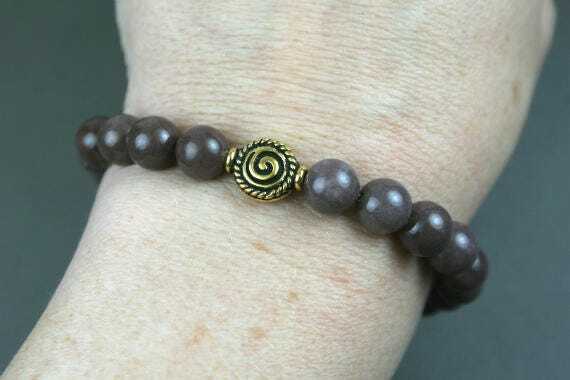 This bracelet is made from 8 mm round purple aventurine beads with an antiqued gold plated spiral bead accent. 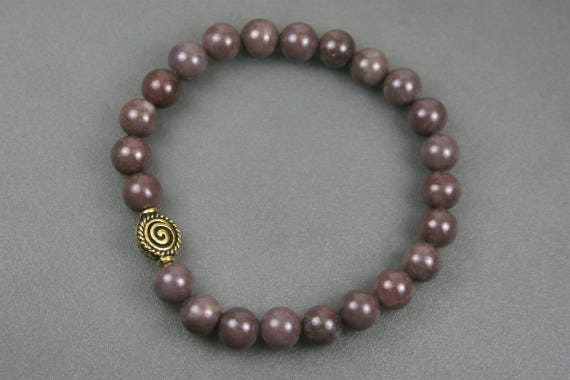 Purple aventurine is a naturally occurring stone that comes in shades of dusty purple to pale lavender to mauve with natural inclusion patterns in off-white and black. 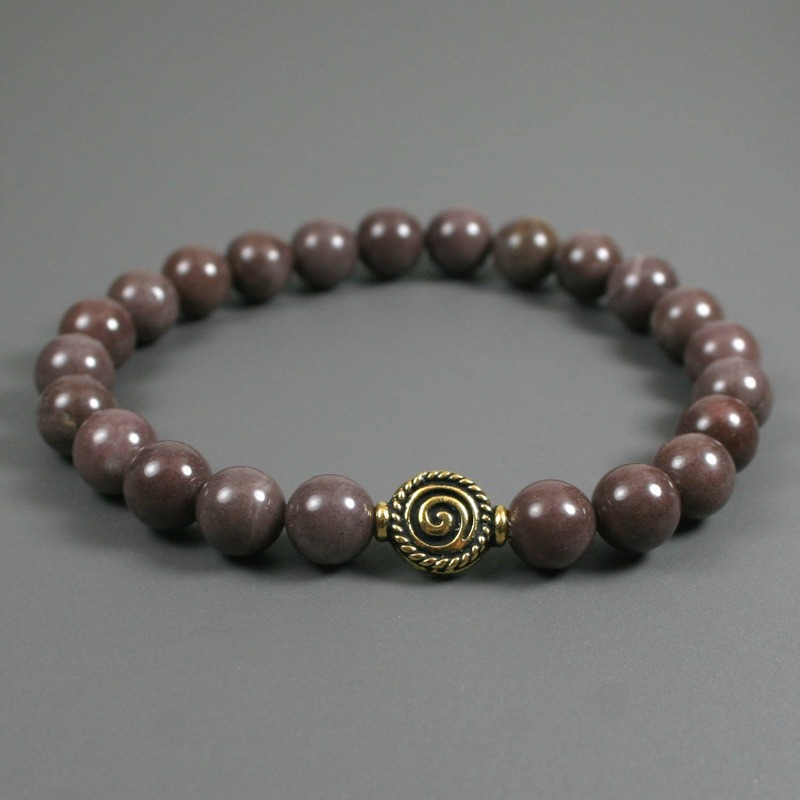 It is claimed to promote calming, balance, and creativity. 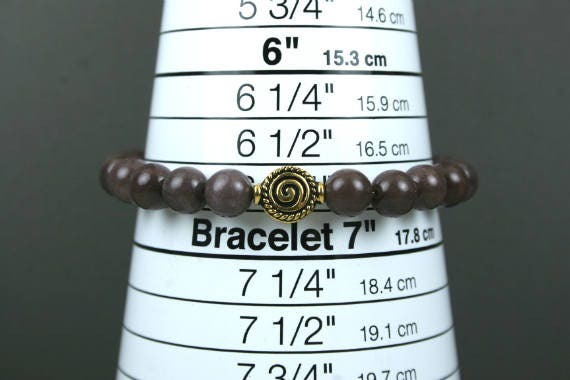 As shown, it is sized to an inner circumference measurement of just over 6.5 inches where it touches the wrist (see image 4). 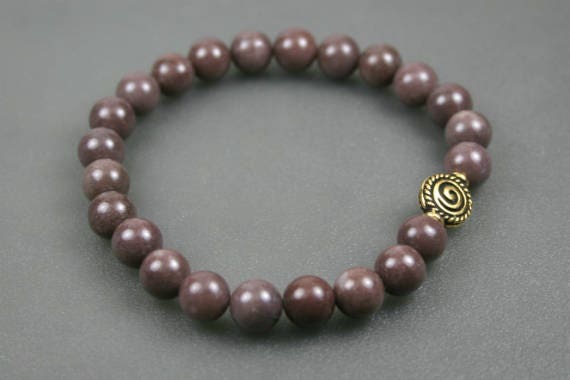 The size can easily be adjusted with the addition or subtraction of purple aventurine beads for no extra charge. If you need a different size, leave a note with the size you desire in the comments area of your order, and I will re-size it for you prior to shipping.